The benefit of riding a chairlift your first day at altitude cannot be overstated. Evolution Bike Park in Mt. Crested Butte offers 30+ miles of progressive, lift-served cross country and downhill singletrack, all accessible from the Red Lady Express lift. However, even if the lifts didn’t take care of most of the climbing for you, this dense network would still make this list because the trails themselves are designed so well. The trails, for the most part, are wide, machine-built trails. Features get more advanced from mellow berms on the green trails, to smaller jumps on the blues, to tabletops and bigger man-made and natural features on the black diamonds. Better still, there’s cell service on most of the trails, the climbs are set up to be at rideable pitches, bike patrol is around if you do need them, and there are a handful of great places to grab lunch. With lessons for both adults and kids, a day at Evolution is a great way to kick off your summer mountain bike trip to Crested Butte and the Gunnison Valley. Evolution Bike Park is scheduled to open for the season in early June, 2019. 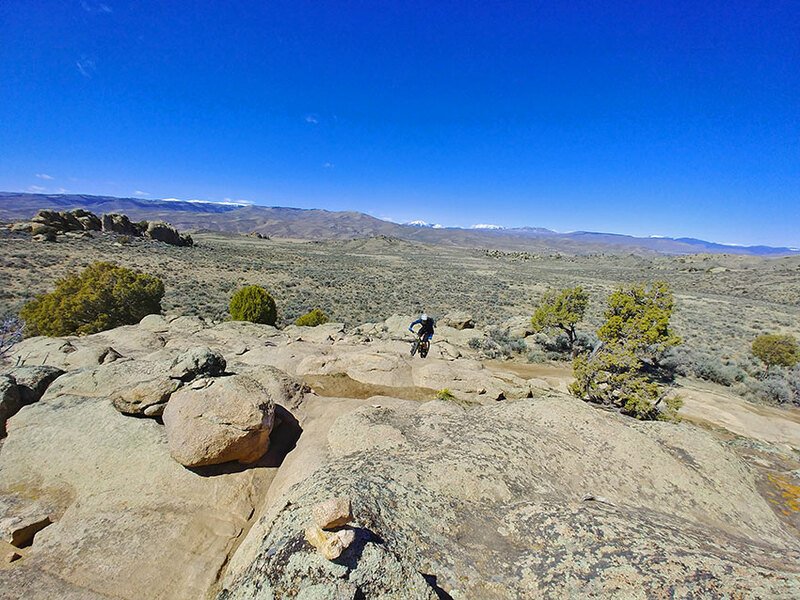 While not a bike park, Hartman Rocks is Gunnison’s answer to Evolution. This multi-use haven managed by the Bureau of Land Management, the City of Gunnison, and Gunnison County offers over 40 miles of singletrack intermeshed with miles of dirt roads. Although home to some of the Valley’s most technical trails, it’s also got some of the easiest. It’s a cross country rider’s ideal playground, hardly ever climbing more than a few hundred feet in a single go. It’s also in Gunnison, about 1,000 feet lower in elevation than Mt. Crested Butte. While the weather can be warmer down there, it’s also a good place to check out if the forecast in the North Valley calls for afternoon thunderstorms. They still happen down in Gunnison, but they’re far less frequent. This trail network, situated between Mt. Crested Butte and downtown CB, offers a variety of degrees of difficulty and exertion. The Lupine trails (especially 1 and 2) tend to open fairly early in the season, due to their southern exposure. They’re also known for stunning displays of their namesake flowers, which typically peak in the last half of June (follow us on Facebook or Instagram for updates on trail openings and flower blooms). If you haven’t experienced a ride through a purple cloud of lupine yet, you’re missing out. Check out some of our favorite ways to link up these trails in a post from a few years ago. Should You Ship or Rent? With nonstop flights from both Denver and Houston (check here for details on the flight schedules), flying to the Gunnison-Crested Butte Regional Airport (GUC) is one of the easiest ways to get here in the summer months, especially if you’re coming from out of state. If you’re flying, consider shipping your bike ahead of time or renting when you get here. Services like bikeflights.com make it easy and affordable to get your bike here to the Gunnison Valley. Our local shops all offer demo-level mountain bikes so that’s a good option, too. Recreational riders will find really affordable rentals, too. If you imbibe, take it easy on the alcohol for the first day or two while you adjust and make sure you get plenty of water. Our towns offer a great variety of terrific food, so no matter your favorite food, you’re pretty much guaranteed to find an excellent example of whatever you fancy.